It’s never easy knowing exactly what to pack. In a country like Peru, with its different regions, different climates and different activities. Getting what is right in your suitcase can be a minefield- especially if you are planning on visiting multiple regions. Overpack and you’re be carrying the weight of your choices around with you the whole time. You also run the risk of not having enough space in your case for any souvenirs (which is the trap I fell into- both a blessing and a curse). Underpack and you give yourself a choice. Will you choose to suffer through or spend? Avoid the problem. We surveyed roughly 4000 travelers over the course of a year and came up with this definitive guide of what to bring to Peru. To find out what to bring to Peru, what gets forgotten and what should be forgotten research was needed. By using the opinions of the 4000, and by piggybacking from our personal experiences, we have discovered what they wish they had and what they wish they hadn’t brought. By doing this we have been able to compile the perfect checklist on what to bring to Peru and what to wear in each region. Whether you’re enjoying the hot and dry coastal region, the lush green of the mighty Amazon Jungle or the beautiful serenity mountain highlands, don’t be left short! The most popular beach and coastal destinations in Peru are Lima (the capital, and most likely where you will be flying in to). 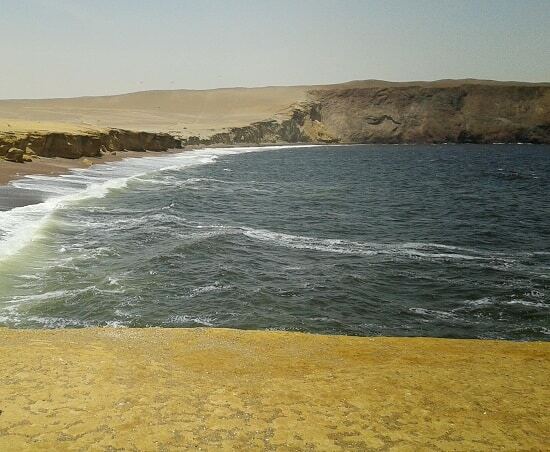 Paracas (now the 8th largest nature reserve in Peru. Previously the people of Paracas were not only experts in shrinking heads, but they were also the first people of Peru to use medicine). Nazca (home to the famous mysterious lines that span 350 kilometers), Ica (the home of Peruvian Pisco – a white brandy produced in winemaking regions) and Mancora (Peruvian party central). Summer runs from December to March, and during this time the coastal areas can get very warm. Normal temperatures range from 26º to 30ºC (78º-86ºF) and the days are bright and sunny. There is a breeze from the sea, so nights can get a little chilly. You may need a light jacket if you’re used to the heat, but nothing more. If traveling along the coast, we strongly recommend taking Peru Hop‘s route from Lima to Cusco or vice-versa. This will give you the opportunity to visit the variety of beautiful destinations along the South coast as well as Arequipa, Puno and more. Cusco has two very distinct seasons. The rains fall from December to April. It’s possible that you will be lucky and find sunny days in these months, but prepare yourself for the worst. Never leave your hotel without a good raincoat and pair of shoes fit to fight a meaty puddle. This doesn’t have to be wellies, a decent pair of walking boots should see you through and are a much more versatile choice. Waterproof items are particularly expensive in Cusco, so arrive prepared to avoid spending where you don’t need to. A good waterproof jacket is definitely a must in your list of what to bring to Peru. May through July mark the Peruvian winter. In the higher lands surrounding Cusco, it can get especially cold in the evening. Make sure to prepare yourself with a warm sweater (or two). It is especially advisable while trekking to consider the warmth of your clothes. You don’t want to be too cold to sleep when there is a full day of trekking waiting for you come sunrise- trust me on this one. Generally warm, Cusco can still get chilly, so pack yourself a nice pair of pants and buy yourself a snazzy alpaca sweater from one of the many markets, just to be on the safe side. As you may expect from an abandoned city perched on a mountain top, getting to Machu Picchu involves a reasonable amount of walking. Ups and downs, (mostly ups). Sometimes these ups are at quite steep inclines. Make sure to wear comfortable clothing and sensible shoes. While all the walking can get hot, tread with caution. There are mosquitos and sandflies everywhere. Sandflies leave bites itchier and longer lasting than the dastardly mosquito. Luckily they can’t fly very well so it’s perfectly possible to outrun them. Alternatively, wear repellent and loose trousers, tucking them into your socks to avoid the problem. If you really want to wear shorts, make sure to wear PLENTY of repellent. While you’re asking yourself what to bring to Peru if you’re visiting Machu Picchu, it is worth remembering that the weather can be temperamental. Pack yourself a sweater and a rain jacket along with the sensible shoes we have discussed. For any multiple day treks you will need decent, reliable hiking boots that are already broken in. Do not get a raging blister on your first day of a four day trek. Just don’t do that to yourself. An absolute must on the list of what to bring to Peru is insect repellent, especially for the treks. And use it in abundance. Pack something warm for the night times; particularly if you know you will be camping- the Salkantay trek especially can get extremely cold during the nights (as you are camping fairly close to a glacier). Other necessities include toilet roll (seriously, do not forget the toilet roll, toilets along the route are scarce, and those with paper are basically unheard of), sun cream and hand sanitizer (soap is rarer than the already elusive toilet roll). A torch is also a must for all those late night toilet trips and early morning starts. DON’T FORGET: The Inca Trail is in very high demand. Everyone hoping to make it to Machu Picchu this way should book months in advance to ensure their pass. 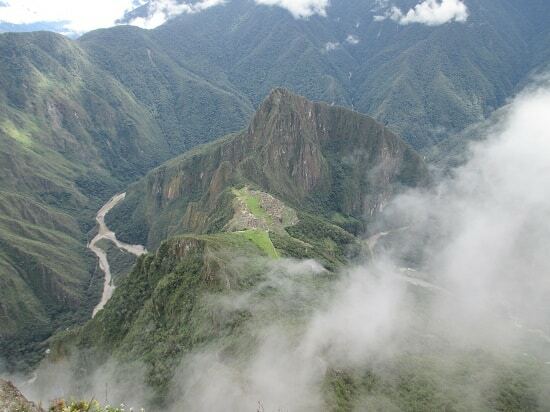 Search your options for Inca Trail tours and all other Machu Picchu treks on the tour comparison website FindLocalTrips.com. 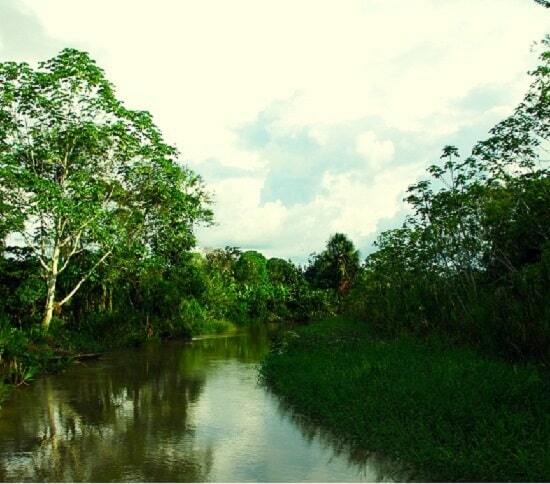 The jungle is extremely hot and humid all year round. Rain here is regular and it is heavy. Ensure that you have plenty of different clothes available for everyday that you are there. It is so very important to remember not just mosquito repellant, but anti malaria medication. This can be prescribed by a doctor or it is available in most pharmacies malaria prone areas. The best thing for you to wear is long, loose and light clothing. Light in both material and in colour, as darker and bright colors are known to attract the bugs, and heavier material traps heat and moisture. Perfumes and scented sprays are a no. You shouldn’t have to worry about a mosquito net when you’re thinking about what to bring to Peru. As long as you’re sensible with who you book your lodgings with. All the lodges recommended on the Peru Hop website use high quality mosquito nets that cover the entire bed (less common than you would hope). This means that you can sleep wearing whatever is comfortable for you. The lodges also provide rubber boots, so there is no need to worry about appropriate specialist jungle footwear, just turn up in your trainers. Arequipa keeps things steady with a year-round temperature range of 24º to 26º (75º to 78ºF). Shorts and a t-shirt will keep you comfortable in this low-maintenance city. The second deepest canyon in the world sits about 100 miles from Arequipa. The altitude of this magnificent place is higher than Arequipa, and as a consequence, the weather is less predictable. Pack for sunny spells and random showers, but don’t be surprised at blistering sunshine or pouring rain. Make sure to bring a hat, as when it gets hot you will need to keep the sun off you. 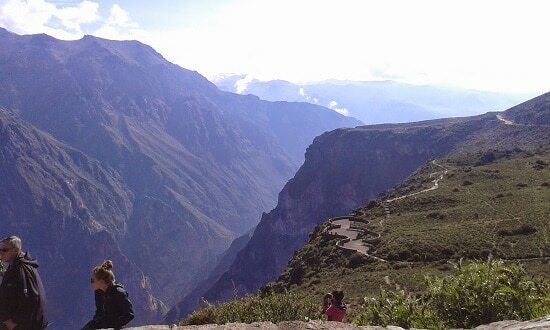 If you are planning a hike, follow the advice of the Inca trail. If a tour is more your speed then there is less need to worry, just dress similarly to how you would in Cusco. Remember to always bring water with you! If you do happen to forget anything then there is no need to panic. Most things are available to buy in Peru’s cities. Hiking things can be expensive to buy but most things are available to rent in Cusco (and Cusco is where most of the longer hikes set off from). If you’re particularly tall or have particularly big feet (mens US11+) then you will find it very difficult to find shoes, so pack accordingly. Plug adaptors are a must in the list of what to bring to Peru. Peruvian plugs use a two pronged head similar to the USA so stock yourself up on adaptors or heads.